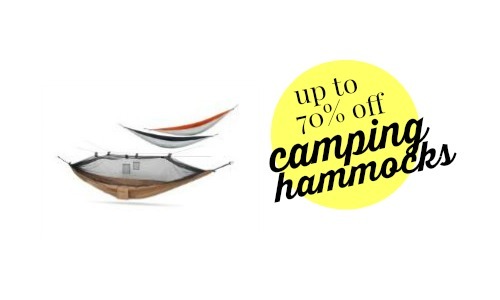 For today only, Amazon is offering up to 70% off select Yukon Outfitters camping hammocks! They are starting at $19.99. These hammocks have great reviews and are lightweight. They’d be great for your summer camping trips or as a gift for Father’s Day. Note: this does not include the straps needed to attach the hammock to the tree. You can grab them for $8.85.